At 75" wide and 70" tall, this massive Traditional Style Computer Desk is a great work station for a home office or professional work space. Order it in the wood & finish of your choice to match your personal style and office decor. 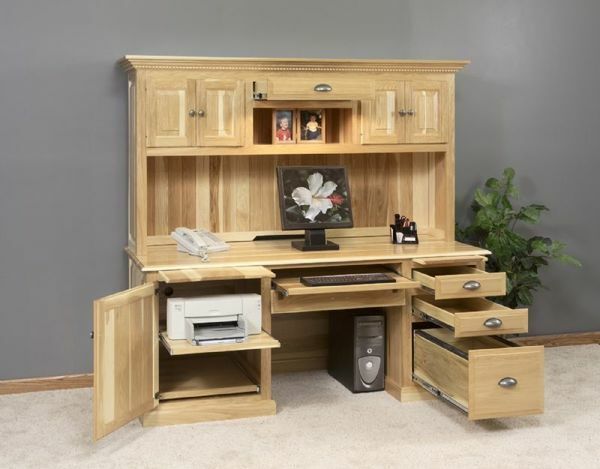 Contact one our Amish furniture specialists for additional information on this Traditional Style Hardwood Computer Desk. Height from the desk to the bottom of the hutch top: 20"
Note available without hutch top. Please call for pricing.